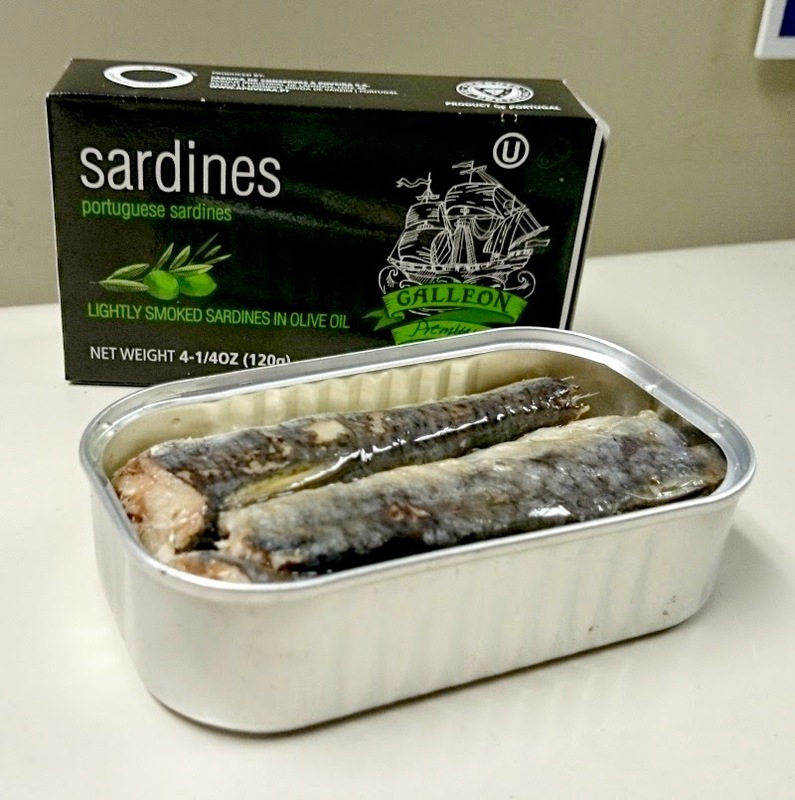 Okay, so I'm reviewing yet another brand of sardines, helping you to find decent canned fish without having to open tins of gnarly, nasty sea creatures. This time around, it's Galleon brand sardines imported from Portugal, and they are pretty wonderful little silversided morsels. While not the smallest and most delicate deeners to be found, at four or five to a can they are still a pleasant size and they are nicely cooked - not dry or mushy, but just the right texture. This particular variety is lightly smoked and packed in olive oil. I have to say that the smoking must be very lightly done indeed because it is barely detectable behind the natural flavor of the fish. All things considered, though, Galleon is a fine brand, and I'll be buying more as long as the supply of them holds out at the local Ocean State Job Lot (a New England job lot/bankrupcy/discount chain.) Kind of a shame that I've only found them at Ocean State because that means when they're gone, they're gone forever. The company that makes Galleon is A Poveira, a Portuguese cannery that dates back to the late 1930's and which has several different brands of tinned pelagic resources. Their web page is very interesting and shows off the various products they make, as well as documenting their commitment to sustainable fisheries. How do you eat sardines? I mean, do you put them on top of crackers? If you get plain sardines, do you use additional condiments? I just ate a can of these sardines and was wondering where they came from because they're fabulous. Never heard of the brand. Maybe a Job Lot exclusive. But I hope they stick around. I just bought a can of these today at a Job Lot in Woonsocket. They are the best I've ever tasted for the money. $1.80! I'm unable to find any other information on these. Every other can of sardines there was disgusting to look at. They were either from Morocco (meaning they are frozen and shipped to a cannery), or soaked in Soy oil. One brand actually said "Oil" as an ingredient, not specifying the type of oil. It's amazing because the King Oscar ones found at Job Lot and Walmart are the low-quality ones from Morocco and cost $2.29...whaaa? Thanks for sharing this Dave! Posts may contain Amazon affiliate links. These links are for products that I have personally tested and enjoy using, and I do not accept any consideration from manufacturers for providing the link. 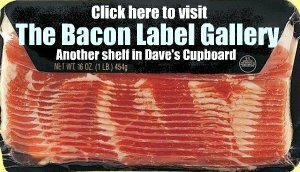 If you purchase a product through an Amazon affiliate link, your cost will be the same but Dave's Cupboard will automatically receive a small commission from Amazon. Thanks for your support! TOP 10 FOODS OF 2016 that I didn't write about for Saveur, yet. This work by Dave Sacerdote is licensed under a Creative Commons Attribution-Noncommercial 3.0 United States License.